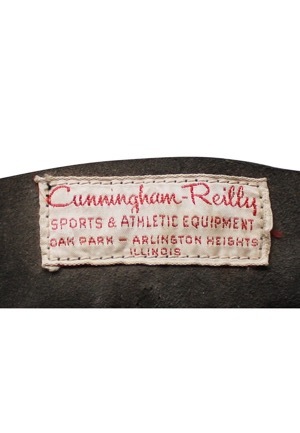 On the insides of the tongues is the Cunningham Reilly manufacturers tag. 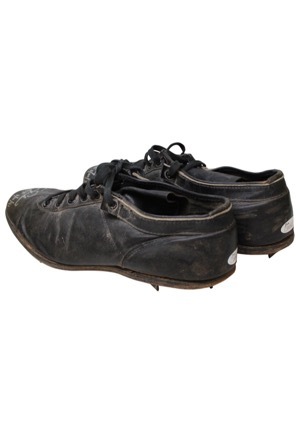 All black cleats that show good game use. 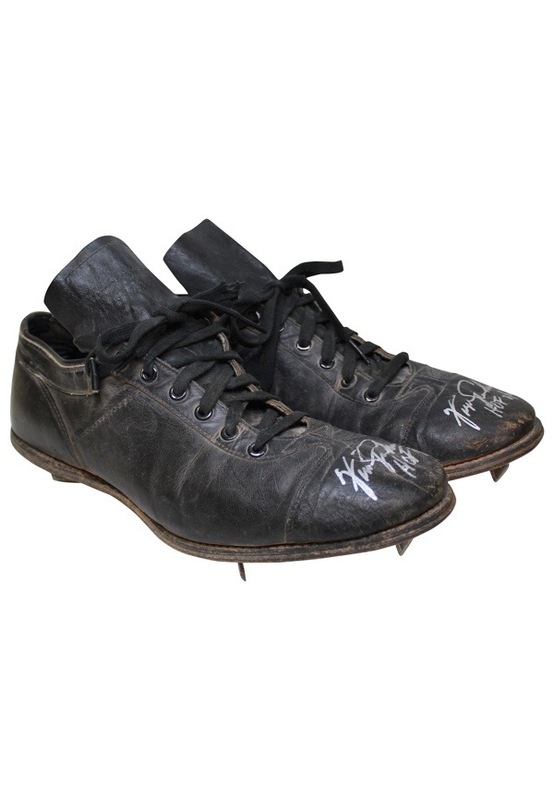 Jenkins signed the toe of both cleats in silver marker with the added inscription “HOF 7/20/91” and in our opinion the signatures rate a combined 8. These cleats are properly tagged, were presented to us as player worn and show use. Accompanied by a LOA from JSA.